Scarred by ineffective online marketing efforts? Seeking answers on where and how to invest in web marketing? Told that digital marketing is an inscrutable black box? Does your agency help you understand digital marketing without BS? Does it answer all your questions clearly and transparently? Does it challenge your thinking? Is it 100% committed to your results? Blush bucks from your online marketing. Gain from the marketing expertise that lowers your lead costs. Get traffic that converts. Magnetically attract the right audience and leads for your business growth. Scale. Use social media to get leads and engagement that matters. Beyond mere play. Deliver awesome content that boosts trust and authority for your brand. Attract organic traffic. First, maximize the value of the traffic that's already on your website. Then acquire it anew. Build premium websites, primed for red-hot conversion of prospects. Not just another website. Teach your team to get the best value from a rapidly evolving marketing landscape. Be on top of your challenge. Trust a team that gets you the results. Achieve measurable ROI from your spends. Get honesty and value that only the pundits can deliver. May your garden teem and throng with customers. Harness the expertise from work on 700+ Indian and International projects. Corral the experience that solves ambitious online marketing challenges. Get a team that packs the strategic, creative, tech and marketing wisdom in-house. Get completely dedicated-to-your-interest strategies that maximizes your investments. May wisdom rain in your orchard. Pigtail Pundits has observed, gleaned, and converted customer insights into well-honed processes that work for businesses. We teach digital marketing to entrepreneurs, and marketing professionals. We train our staff and clients in the best practices of online marketing like few do. We re-invent, practice, and experiment with digital marketing, all the time. Come, soak your brand in wisdom that works. "I recently got my website (www.transitioninsight.com) made through Pigtail Pundits (PP)". I found them to be good thought partners in helping me shape my thinking around the site design and layout and in systematically executing it within the time frames. Given there were a number of moving parts with video elements coming in, I really appreciated the collaborative approach of PP in getting to the finish line comfortably. I also appreciate the efforts they put into bring me up to speed on how the website works so that I didn’t have to depend on them in the future. I would strongly recommend them for organizations that are looking for a combination of thought leadership and seamless execution as they think about their websites. "I have worked with Unni and his team at Pigtail Pundits for a long time because, to put it simply, they do such terrific work." Over the years, Unni has consistently provided outstanding creative, strong programming and prompt response to my projects large and small. It has been a delightful and rewarding collaboration which I look forward to continuing for a long, long time. "I have worked with Unni and his firm for many years. I've used them to design websites for our clients and to design mine." They give me better service than similar firms in my same city, they're more creative, they care more about the project and their fees are fair. I can recommend them without reservation. They are good at what they do and they are good people--a rare combination; worth going halfway around the globe to find them! "I have worked with Unni and his firm for many years on many projects." He is an outstanding person and business partner, never faltering on his word and always going the extra mile to ensure satisfaction. Unni and his crew are consummate professionals. "Unni and Pigtail Pundits did a great job with my web site." The initial site as well the updated site many years later. His able team at that time, Rajesh Khanna and Ranajit Tendolkar and others contributed to a great website. "Unni and his team have immense experience in web designing and allied fields." I had a great experience working with him, when he designed our NES International School Mumbai website. I recall our meetings during which he would present a plethora of ideas for the school website. The website created by him, has been liked by all stakeholders of the school. We are in the process of taking his help for designing websites for our other institutions. "I have engaged Unni and his team on 2 occasions; first to create the website for Patni Computers and then for IBS Software." As a service provider, he kept to schedules, understood the requirements and advised us on the best options, managed his resources well and kept us constantly updated on the progress or concerns if any. An excellent team player and motivator, no wonder he's successful at what he does! They have delivered as promised and are straight forward in their approach. "Unni is a person i've known for some time." Being from the same industry. His is a capable team and I enjoyed working with him. "Unni showed good and quick understanding of the context and requirements. He turned around a challenging project delivery. Met tight deadlines. He worked with us on a couple of online design projects. And above all, a great person to engage and interact with! "We used Unni's company, Pigtail Pundits, to develop our website." He was recommended by a friend. We were very happy with the work done by him and his team for www.xultant.com. Get a taste of Case Studies that bespeak the results achieved for businesses just like yours. 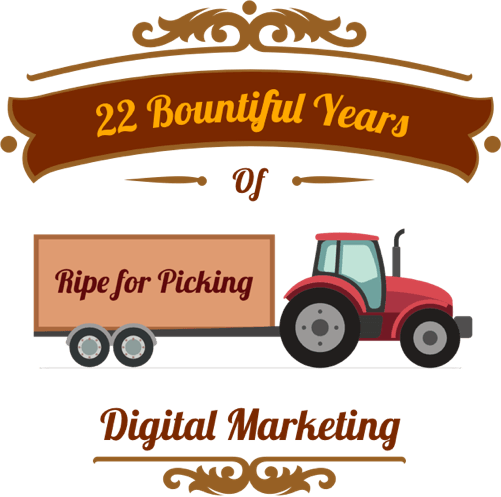 Savour our blogs on digital marketing. Inform yourself of the flavours of success. Meet the team that guarantees results in your digital marketing.